Ceri Lewis was referred to us by one of our customers, Hire Class. Ceri has just completed a long and distinguished career in the Royal Marines. Oven Cleaning Devon is his bold step into civvy street. 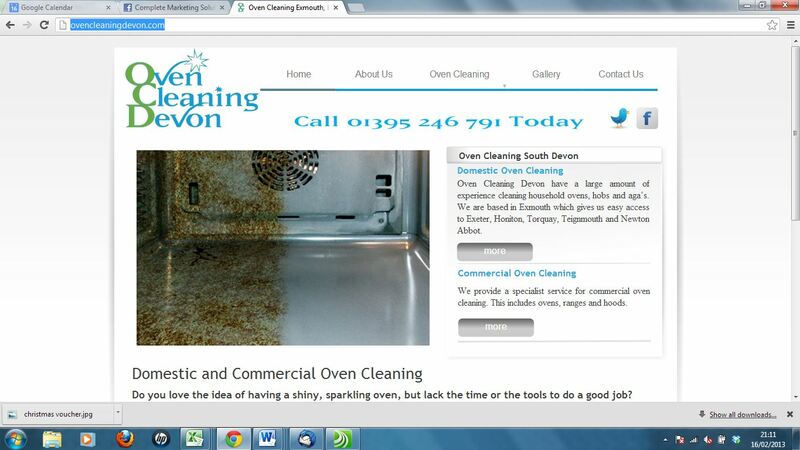 Oven Cleaning Devon are professional domestic and commercial oven cleaners based in Exmouth. Ceri approached us with a strong brand logo and a few photos. We have developed the web content to help achieve the optimisation goals for the business.